You are at:Home»AA Cars News»What if James Bond drove budget cars? What if James Bond drove budget cars? We’re used to seeing the infamous James Bond in some of the world’s most impressive cars. The new Bond film, ‘Spectre’, which is in cinemas now, is no exception. In Bond’s latest escapade, Daniel Craig gets to drive an Aston Martin DB10, while the film’s villain, Mr Hinx, has the pleasure of putting a Jaguar C-X75 through its paces. The cars really are just as much a part of the film as the actors and usually feature in some truly spectacular chase scenes. Bond notoriously likes to travel in style – every mode of transport he uses oozes class and sophistication, whether they’re supercars or speedboats. Throughout his illustrious career, 007 has driven (and wrecked) an impressive range of enviable supercars, from numerous Aston Martins and BMWs to a Lotus Esprit and a Ford Mustang…and who can forget Little Nellie? But what would happen if MI5 had enough of Bond’s lavish taste and placed the spy on a bit of a budget? 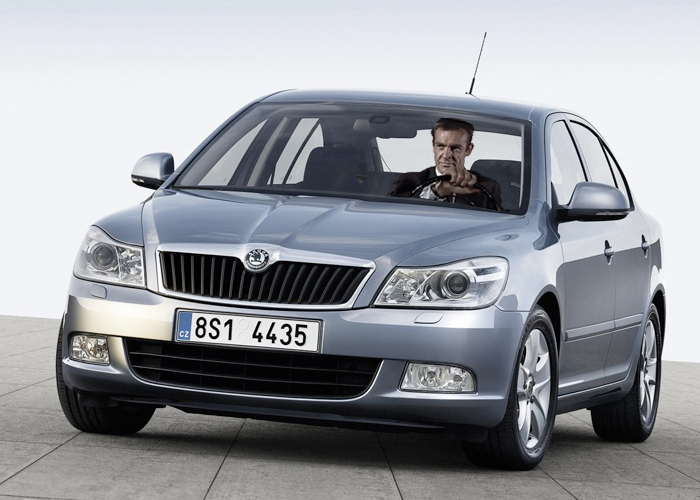 Imagining Bond racing through the streets of London not in a Ferrari but a Skoda, we can’t help but smile. Unable to resist a challenge, Bond would most definitely make the best of a bad situation. The evil villains pursuing him, however, may not be able to take him seriously if he was attempting to escape in a Honda CR-V or a Skoda Yeti. It would completely change the look and feel of the Bond films. Here are some classic budget cars and what Bond might look like driving them. Bond isn’t one for the family wagon, but if he was, a Picasso would surely be the top of his list. The Citroen Picasso is one of the most popular people carriers on the market. It may not have good looks but it has low running costs and space for five people. If that doesn’t attract the next Bond girl, nothing will. The Ford S Max is surprisingly fun to drive, even if it wouldn’t exactly put Bond through his paces. It comes with a fair amount of equipment, none of which would be helpful to Bond in a high pressure situation. 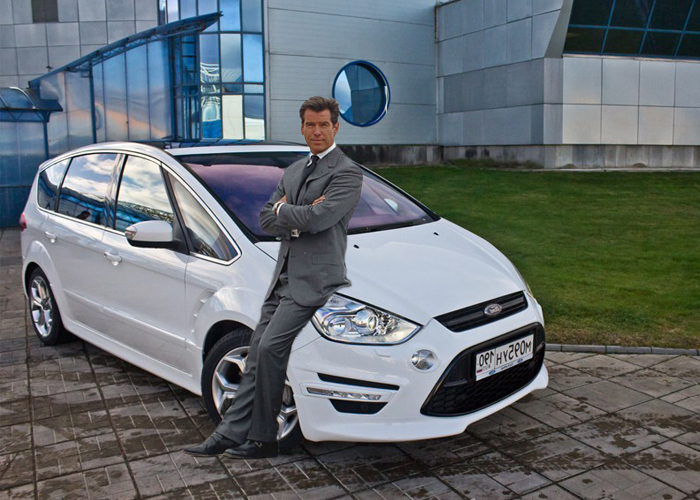 Here we see Pierce Brosnan looking rather suave on the bonnet of a white Ford S Max. Suit you sir. We’re not sure the words ‘Bond’ and ‘Skoda’ should be used together in the same sentence. However, this is what he would look like alongside a bog standard Skoda car. Do you think he can pull it off? It’s taken a long time for the new Ford Mondeo to be released and, despite what Bond may think, it’s actually a decent-looking car with reasonable handling. Some of the diesel models have very low CO2 emissions and the engines on the new Mondeos are pretty efficient. You probably won’t see Bond speeding off in a Ford Mondeo any time soon, so to help your imagination, here is a Bond of times gone by showing it off. 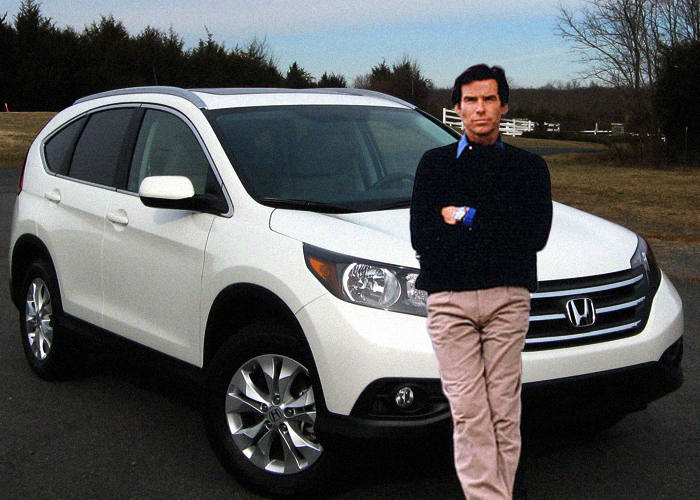 Honda’s CR-V is bound to wipe the smile from Bond’s face. 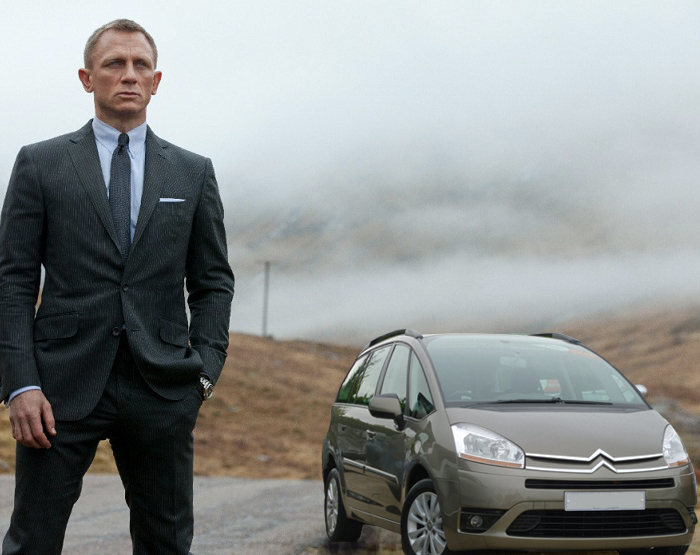 This comfortable crossover may have plenty of space but it’s definitely not the ideal vehicle for a guy like Bond. Despite being one of the safest cars around, it probably isn’t the credentials 007 usually looks for. The car looks perfectly at home in this setting, but Bond certainly doesn’t. Despite it not being particularly trendy, the Skoda Yeti is a trusty car that’s proved very popular. Its excellent reviews across the board have ensured it has topped a few best car lists. 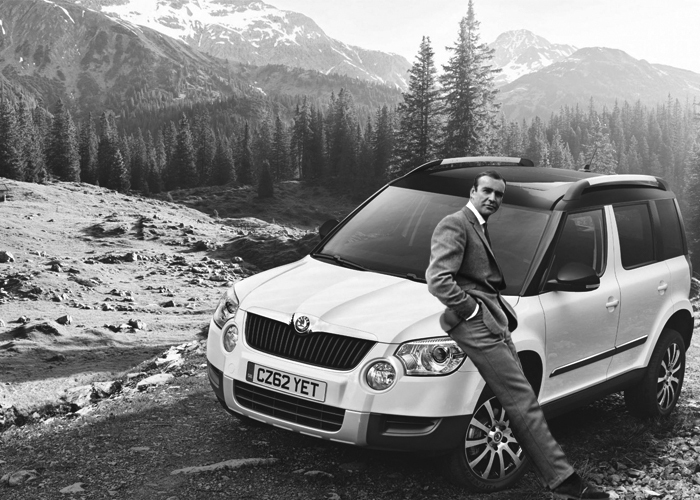 The Yeti is ideal for families, has good body control and can be used off road, which is certainly handy for someone like Bond. Sean Connery, however, isn’t convinced.